With the long weekend in Ontario approaching, the extra 24 hours of relaxation by the water is the perfect added bonus. Before you break out the Muskoka chairs and cold beverages – here are some very important points you need to be made aware of in regards to why alcohol consumption and boating should never mix. Did you know that in Canada, operating a boat while under the influence of alcohol or drugs is an offence under the Criminal Code of Canada? You’re considered to be ‘impaired’ or ‘under the influence’ if you’re tested and the results determine that your blood alcohol concentration level is in excess of 80mg. Especially considering that 65% of the boating-related accidents in Canada involve alcohol consumption as a main factor. What are the penalties for drinking and boating in Canada? 1st Offence: A minimum fine of $600. 2nd Offence: A minimum fine of $600 and at least 14 days in prison. When are you able to consume alcohol on a boat? The boat must be anchored or secured alongside a dock in order to consume alcoholic beverages. 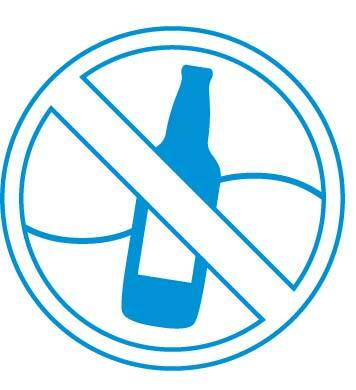 Just because the watercraft is equipped with these items – does not mean that you are able to drink while the boat is away from land. As the boat operator, it is your responsibility to make sure your boat meets these requirements before any passengers enjoy their alcoholic beverages. If you or a loved one has been the victim of an accident – contact a personal injury lawyer that will devote all of their resources to helping clients when they have suffered a personal injury or tragedy.